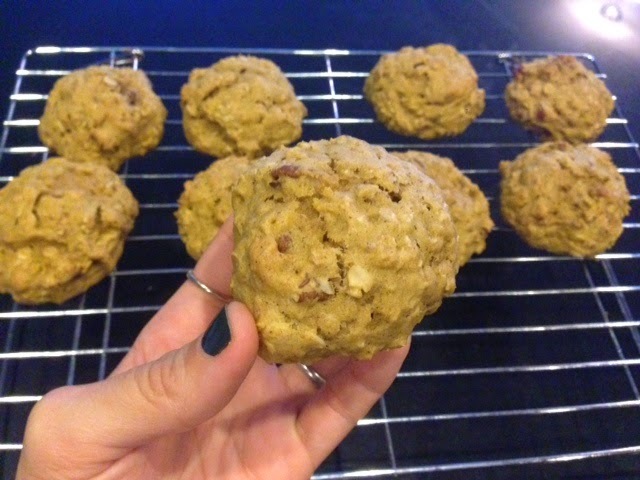 As a lover of Oatmeal Raisin cookies, I wanted a with a recipe that was just as oatmeal-y and delicious, but had the flavor of pumpkin and fall to make tonight. 1. 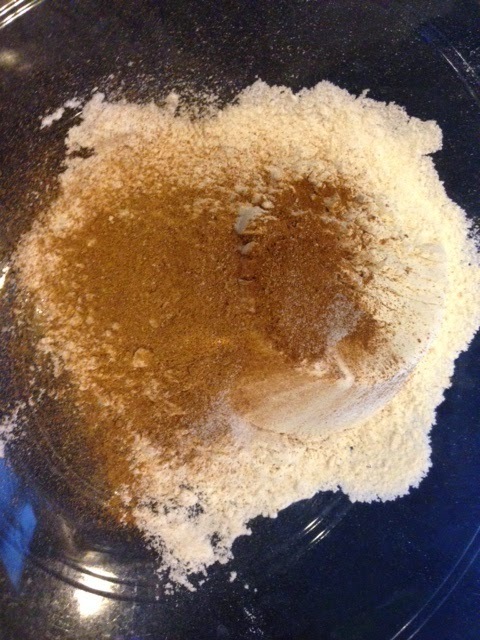 Mix the flour, salt, baking soda, cinnamon and pumpkin pie spice. 2. 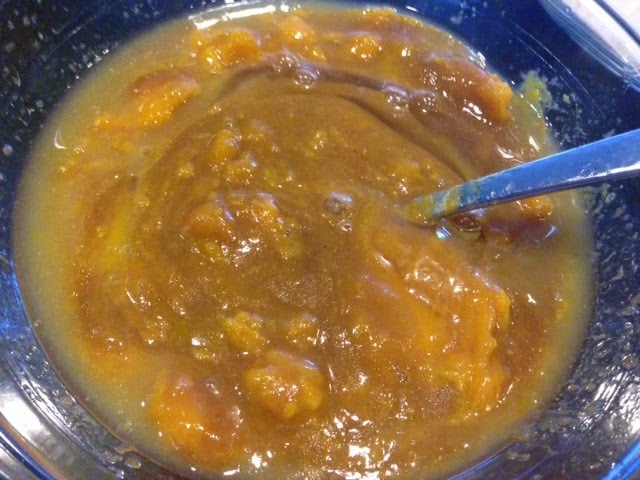 In a separate bowl, mix the melted butter, vanilla, sugars, egg and pumpkin puree. 3. 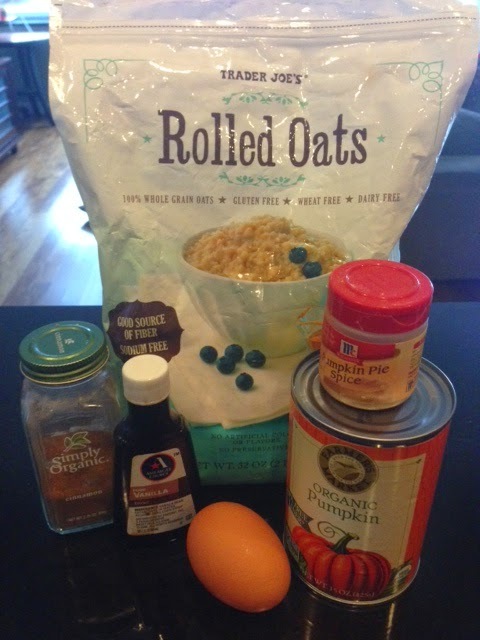 Combine the two bowls and sprinkle the oats. 4. 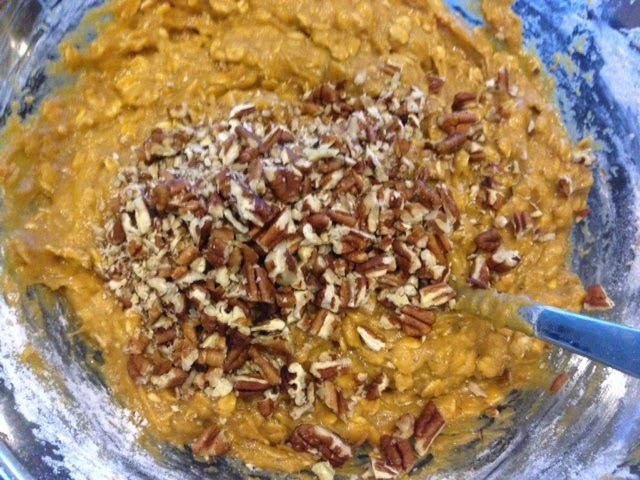 Add the pecans and stir. 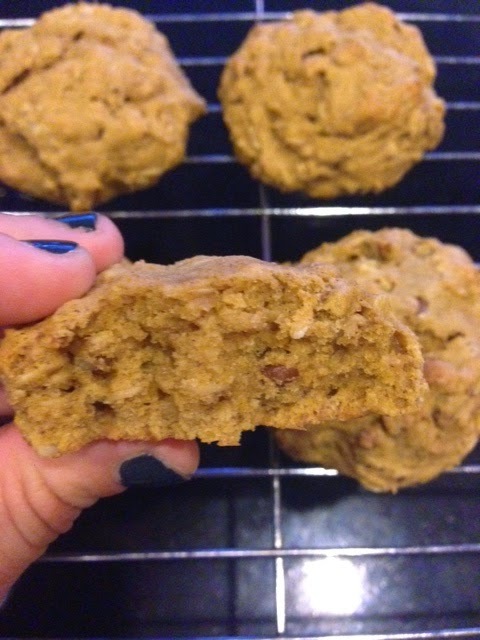 Refrigerate dough for 20 minutes. 5. 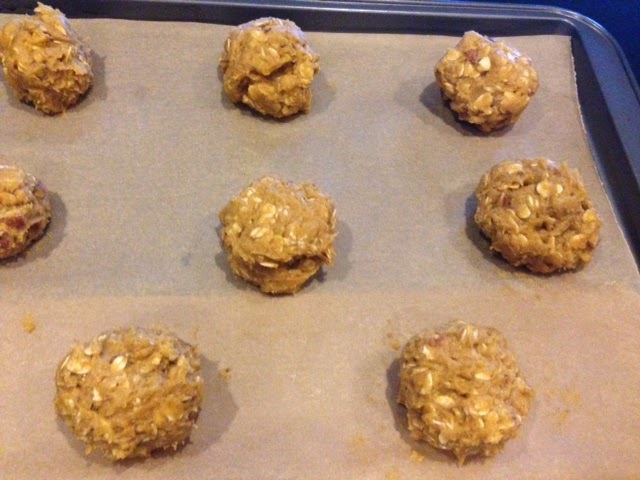 Roll into 2 inch balls and place on a parchment lined baking sheet. Bake for 18 minutes, or until golden.